At Christmas we are shown that our courteous Lord chose to make the eternal bliss of the Holy Trinity known to us, to entrust himself bodily and entire into the hands of his own creatures, even to new untried parents, intent, through care, on his, and others’ good. Someday he will even give himself into the hands of people, intent, through destruction, on what they believe is their good and the good of others. In the end, we have no art of mind to comprehend the measure of this thing God has done—that this devastatingly simple act of trust is the method chosen above all others to be the means by which God, all Power, all Wisdom, all Love, makes known to us his eternal rejoicing at our existence, and God’s ardent desire that we be completely and consciously his. 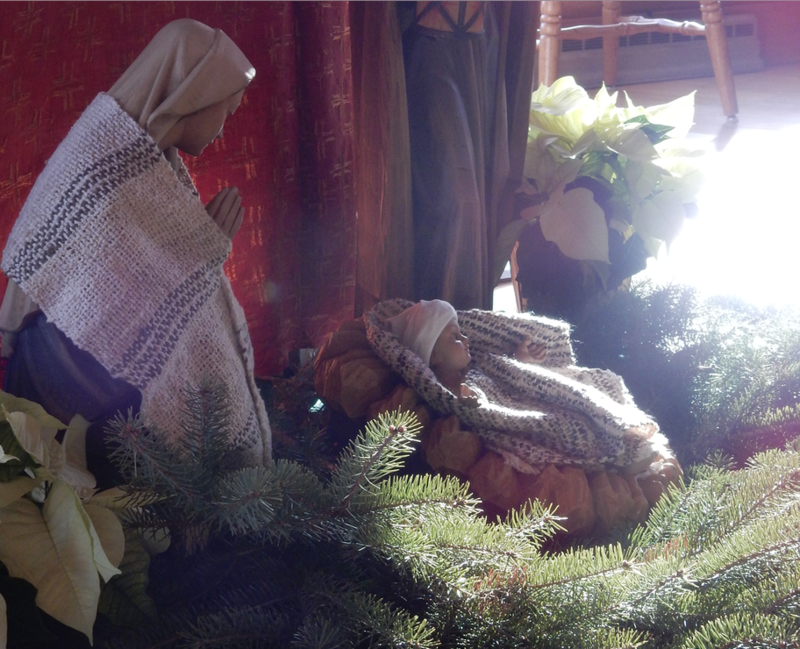 The Father has entrusted to Mary and Joseph, and through them, to us, this fragile, spotless mirror of the Divine Life. If we are still enough, if we have courage enough, we may read in this mirror a mercy and truth, righteousness and peace that judges all our darkness, violence and un-peace and banishes them by the authority of a humility deeper than time, since the foundation of the world. In the same humility our courteous Lord Jesus gives himself bodily into our hands again and again at our altar, both model and means, Christ our way our truth our life. “The Word was made flesh and dwelt among us.” He dwells among us yet, and gives himself always: Come, let us adore him.